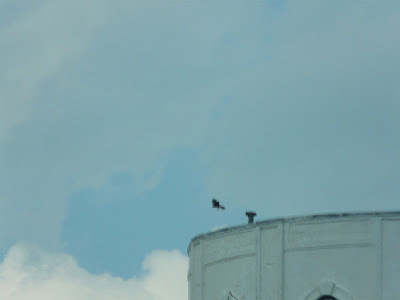 Athos spent time on the water tower ledge again today, where he was joined by his younger brother, maybe Kevin, who fledged yesterday. 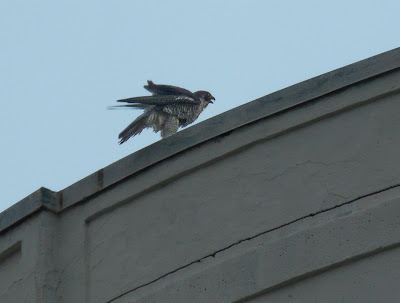 One fledgling on the top of the tower, one on the lower ledge and a parent on the far left. This one was practicing lift-offs by flapping hard enough to catch the air. He was lifting off, coming down and lifting off again and again! He was having so much fun finally being out of the nestbox!